Throughout South Asia, homosexuality has been a taboo subject. There are signs in some areas that gay people are now becoming more open - but that is not always the case. In the latest in a series of articles about gay people from the region, Firdaus Kanga reflects on his life. Born into a Parsi family in Mumbai (Bombay), Kanga now lives in London where he works as a writer and actor. As a child he was diagnosed with a rare bone disease. There were many things I could not do as a boy - the most absurd of these was not being able to break a biscuit. There was something about the sound, the snap that always reminded me of those moments when I would crack a rib or break a hip, which happened almost as often as the festivals that sprinkled the Indian calendar. We were the Parsis of Bombay which meant we could celebrate Eid and Diwali and Christmas with as much pleasure as our own Navroz (New Year) we had brought with us from Persia so many centuries ago. And I really did suffer frequent fractures. I was born with brittle bones, could never walk or go to school with sturdy little boys who might break my tiny body with a friendly slap on the back. I stopped growing at about four feet. I first knew that ordinary friendship was not what I had in mind when I saw an attractive man and something inside me flew with a freedom and delight that I had never known. Homosexuality was the different part of me that gave me pleasure, allowed me to hug my body - if rather gingerly - rather than fear it, fear the pain it brought me, an unwelcome present I could not refuse. For many years I could only see and smile at and touch my lover in an imagination that had brought him alive as God was supposed to have made Adam. 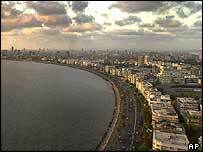 After all, this was Bombay in the early 1980s. In all the time I was growing up I had never heard anybody talk about homosexuality. I certainly knew no gay men, except in the sublime stories I found and read - those by James Baldwin, E M Forster and Iris Murdoch. Perhaps in some strange sense I was fortunate - my idea of gay love slept in relationships rather than in frenetic and furtive encounters in the dark. It was not until I was in my twenties and I had written a novel that was being published in London where I came to live that I met someone who could amuse and annoy me and drive me fast and furious around the hairpin bends of passion. Coming out was easy for me as I had been stared at all my life - now I turned heads for happier reasons. My mother, I think, was secretly relieved - she would never have to suffer "the other woman", the dreaded daughter-in-law who stole so many Indian sons from their mothers. My beloved aunt, in an original version of what, I was only later to discover was an old Jewish joke, asked me to promise her just one thing - that I would settle down with a good Parsi boy. That first relationship ended in the kind of pain that I had never known. At least this time I did not need an X-ray to confirm that something had broken very badly inside me. To my surprise, other relationships were to come. I do not intend this to be a potted history of my love life. Nevertheless, there was one very special love that I was to find with someone disabled by that still unexplained condition, Tourette's Syndrome. No, he did not, as some most people think, swear compulsively. But there were many other things, all benign, that he felt compelled to do. Sometimes just being able to sit down took him the best part of an hour. Somehow we found the comedy between that and the fact that I could never stand up. We also found a tenderness that I have not known before or since - tenderness and desire fulfilled. Even there, there was to be no happy ending - perhaps it is all my fault - or my excuse. I don't write happy endings - I find them too contrived, even boring. And they do not grant us the liberty to look at life and weep. Below is a selection of your comments on this column. Straight or gay, Firdaus Kanga is an inspiration for every living person. I saw his autobiographical movie and no other movie has moved me as much as this one. Firdaus has that zest for life a tad more than what we so called "normal" people have. Bravo to Firdaus for enriching our understanding of what it means to be human. When we are able to be bold enough to express the deepest of human emotions and goals, we create the groundwork for that most persistent of human creations - literature. Firdaus (if I may call you that) I don't know if you'll happen to read this comment, but I really must thank you for sharing your story. It's inspiring and may be a little bit comforting to see someone challenged with so many difficulties find happiness and fulfilment in life. It gives one hope for a more tolerant and caring world, where hopefully everyone else may be free to do the same. My most sincere thanks. What an inspiration you are Firdaus! It is voices like yours that we need to hear. Your story shows diversity within diversity within diversity. As a gay Muslim I have struggled with my family and society to accept me. I am glad times are beginning to change to hear your mother and aunt wishing you well. I wish you and your partner all the happiness in the world. True love can be found and you seemed to have found it - from within, from your family and friends, and from your lover. A very well written piece! I greatly appreciate the intelligent humour in the piece. Moreover, I am amazed that he can approach his despair with such humour. I am not comfortable with the issue of homosexuality, but after reading this piece, I could empathise with Mr Kanga. I do hope he finds his partner, and discovers the charm of happy endings! Thank you so much for your article. It is particularly eye-opening for an American, healthy, gay man living in New York City, surrounded by other gay men who put 99.9% of their value on their own perfect physical appearance and that of their partner. The other 0.1% of their attention is on money. How wonderful to read your story within this superficial context. As I read it, I felt so much baggage lift off of my shoulders - the baggage to conform to the very "consumer" American gay culture. Your experiences of love, desire, and passion are, I think, rarely experienced by the drop-dead gorgeous young men who go from trick to trick. Your article took me right to my heart. I wish you many more experiences of love, passion, and fulfilment. Firdaus' is indeed an extraordinary and touching tale. I wonder if he intends to weave into one of his novels one day? His chance visit to London because of his first novel, I believe was a fortunate one, which allowed him to firstly come to terms with his sexual preferences, then bring it the open and get the sort of support and acceptance like he did from his family. Many times similar tales, coming from Indian residents, read very differently. Mumbai is home to many well educated and affluent individuals who more often than not revel in their pseudo-intellectualism but still regard a gay person as a 'freak'. In fact, due to societal attitudes many homosexuals fear accepting themselves as different from what the prescribed norms say. With girls, it is much more difficult. Wow - I have not read a story so real in a while. I use the term real deliberately. Most people nowadays shy away from reality but Firdaus embraces it readily and with eagerness. Most think we have troubles in love but Firdaus' situation puts in perspective the fact that there are others who have it much worse. But he approaches the difficulties of his relationships with his head held high. I want to say, Firdaus, you are an inspiration if I have ever heard of one. I love that last line you wrote. I hope you don't mind if I quote you to my friends. 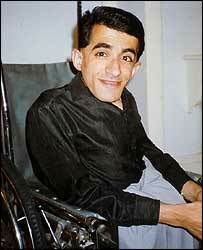 As a gay Indian man who is not disabled, I am touched by Firdaus' story. " Bravo" is the only thing I can say to him and that he inspires the more able-bodied men around the world. I was very moved by this beautiful account of difficult and different gay life. I wish you both have many years of happiness. I have been with my lover, a French Fireman for 14 years and your comment "hairpin bends of passion" is exactly what we have had all throughout these years, which is why, I guess, it has lasted so long! A very touching and moving story. I hope Firdaus finds somebody loving and lovely and has many happy moments to share and I hope the ending of his real life story is happy unlike the stories that he writes. I am fascinated by the Zoroastrian religion and by Parsi culture - last year I had the opportunity to watch Firdaus Kanga's remarkable semi-autobiographical film Sixth Happiness'. It gives a delightful insight into the way of life of India's illustrious Parsi community. I wish Firdaus all the very best in his artistic and professional career, which has thrived despite his crippling deformity. I am Parsi too, from Persia and am touched by Firdaus' story. I admire his humorous character and openness. Everyone must embrace every moment in life as positively as Firdaus. Thanks for a very moving article, Firdaus. As an Indian American (born in India) I could understand a little bit of what you went through growing up in India. As a straight person trained in Gandhian acceptance of all people, I'm saddened by human ignorance and cruelty, especially toward gays and lesbians. No matter where you are, I hope you find peace and love and I wish the same for all human beings, gay or straight.